I often have people test a single leg variation as well, just to see if that is a better direction for the day, but I didn't do that in this video. Once you've figured out the best testing squat for the day, often times you can improve upon it with some smaller modifications. Make the modification, and test to see if you get an improvement. Stagger Stance - Instead of placing your feet symmetrically, bring one foot back or forward slightly. A third of a shoe length is usually enough, but play around with the amount. Hint: if you often stand in a certain position, like women who carry a baby on the hip, then start in either that position or the opposite of that position. Box Squat - If hip mobility or strength is limited, squatting without a reference point can be too stressful. Place a box behind you, and adjust the height until you find the lowest point that tests well. Heel Lift - For many people, ankle mobility is a limitation. Place something under your heel to lift it up. I find a 2.5lb plate is often enough (about 1/4" thick) but sometimes more is needed. The most I generally ever use is a 2.5lb bumper plate that is about 1" thick. Rotation - Test some degree of rotation of the upper body in the squat. This is particularly easy and effective with a Goblet or Zercher squat, or a Front Squat with kettlebells. 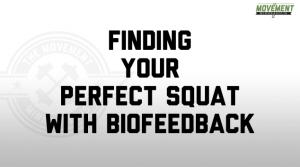 People who have jobs that involve a significant amount of rotating to one side, or who play sports with a clear bias to one direction of rotation can benefit tremendously from rotation in squatting. Watch the video, where I'll walk you through how to test all these variations. Remember Don't be limited by the variations I show in the video, or in this post. Anything can be tested. 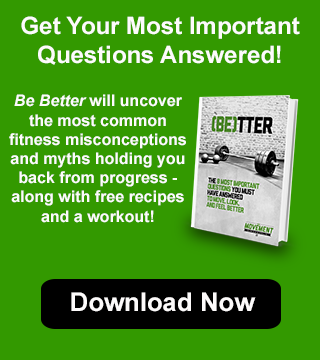 Experiment with all the different variations you see, and find out what works the best for you. What is good for you today might not be tomorrow. 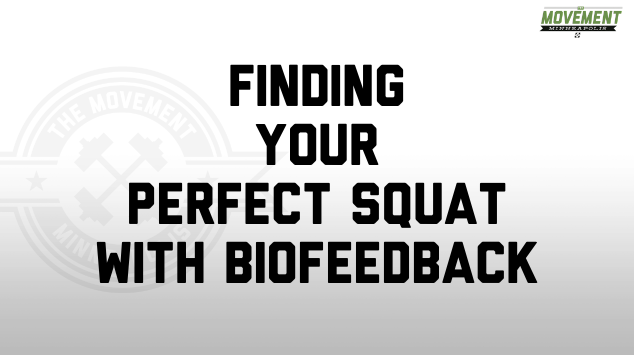 Finding the perfect position on a daily basis will add no more than a minute or two to your workout. With time, your intuition will improve to where you already know what is going to be best for you.